Ugh, it kills me that Megan Fox is playing April O’Neil. Last month RabidRogue released its first app, the soundboard for Betrayal at House on the Hill. I’ve been pleasantly surprised by sales, since there was no marketing push and this is admittedly a niche product (and on iPad only!). On to the next projects! 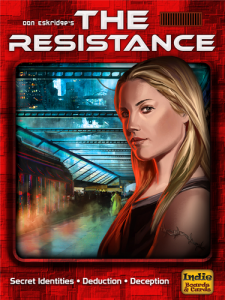 The next app I’m working on is a companion to the board game The Resistance. This is probably my favorite game to play and almost everyone who plays it loves it, gamers and non gamers alike. This will be less of a soundboard (although I may include some Tron Legacy-esque beats for the background) and more of a true companion piece of software. First, it will pick a random leader. Very simple, but it’s often a hassle to randomly select someone. It then instructs you to hand out loyalty cards, and when ready, you tap a button and the app will read out the little speech where everyone closes their eyes and the spies look at each other. Again, this probably seems very trivial but it’s not. Whoever has to read these instructions out is at a distinct disadvantage. First of all, they have to physically move their head usually to find the other spies. In 10 player game this can take some time. If you’re speaking while turning your head, clever players will take note and you can give away your spyness. This has happened to me several times. Secondly, your mind is occupied while you’re looking and your words might get jumbled. Again, this happens to me. When I’m resistance, my spiel is crisp and clean. When I’m a spy, there are often hesitations during this speech or other little hiccups. Disadvantage for the speaker! Another advantage of having the app read this part out for you is it can change what it says based on how many people are playing (conveniently remembered from when you selected a random leader). So if there are 5 players it can say “There is one other spy, make sure you see them and they see you” or it can say “There are 3 other spies…” when appropriate. It happens in bigger games that sometimes people thought they saw all the spies only to realize later that there was another. So those are the main functions of The Resistance Companion. A simple app that will take most of the setup away and let you focus on the game. Any suggestions on what a good sales price is? I’m thinking less than the Betrayal soundboard. The other project I’ve been working on this month is Attack of the Zombie Clowns! To be honest, I’ve been working on it for a year or so, thought most of it has been very sparing work. I finally got it submitted and approved from Apple, but I haven’t made it available for download yet. I finished a video trailer and need to get some more marketing materials together, inspired by IndieGameGirl to actually make something of an effort on the marketing front. Of course, I’m still awaiting my dream partner who is a great artist, loves handling social media and marketing, contributes ideas but ultimately bows to all my decisions. I’m sure he/she is out there, somewhere. ← Betrayal at House on the Hill Soundboard app is available for iPad! It sounds really cool. I was really jealous of the Betrayal app but no iOS devices so it’s never available to me. I’m not sure how you’re picking leaders but something as simple as Select Who’s everyone touch works but also I think a spinner could work. Colored spinners everyone picks a color and then the phone spins and selects. Maybe this was your method already I don’t know. The other thing I wanted to encourage is the inclusion of the promo cards. They are Merlin and Assassin. While having a full Avalon line up would be nice. Just the promo cards would be very very helpful. Due to the limited number of roles I rarely had trouble myself. You shouldn’t have to find everyone unless you’re really crowded at worst you can just look at thumbs up and trace them back to who it’s supposed to be. But anyway can’t wait to see it when you’re done. Cheers. I have a friend who programs android taking a look at making a version of the Betrayal app for android. Stay tuned! For picking a random player, right now I have arrows pointing to each player and then they light up in order, sort of like a wheel in an arcade game. Hard to explain, I’ll make a demo video soon and throw it up here. no i understand. It’s like the spinner. only instead of an arrow that spins. it’s a region of color that goes around. that works too. Have you considered making a Resistance: Avalon helper app? I’ve thought about it. I will probably add it in as an in-app purchase when I get some time – I’ll have to hire a voice actor to narrate the different roles.